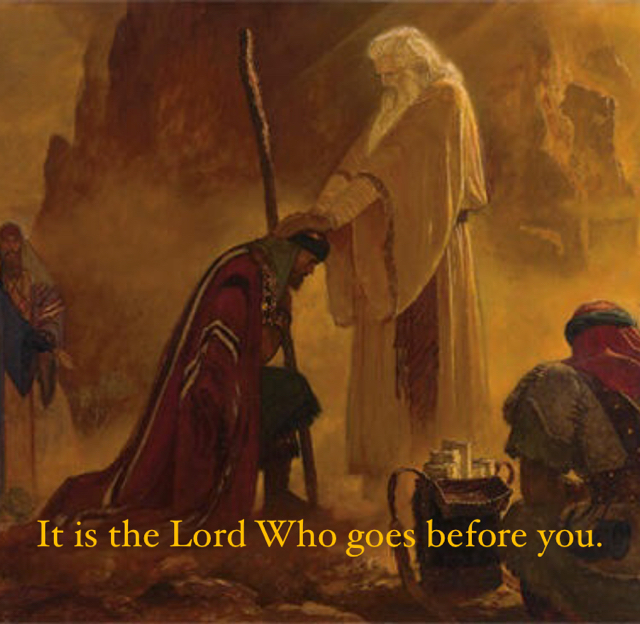 Parable - It is the Lord Who goes before you. It is the Lord Who goes before you. The Consecration of Joshua Arnold Friberg, 1956.